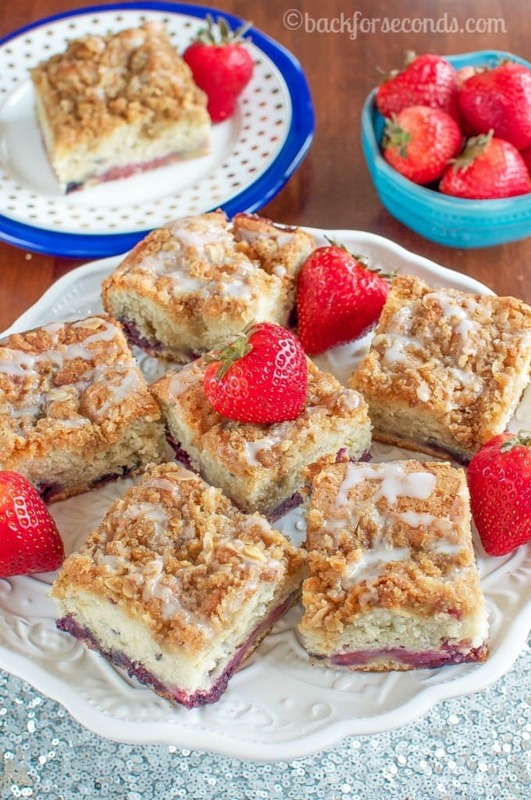 This Triple Berry Coffee Cake is so buttery, moist and fluffy. 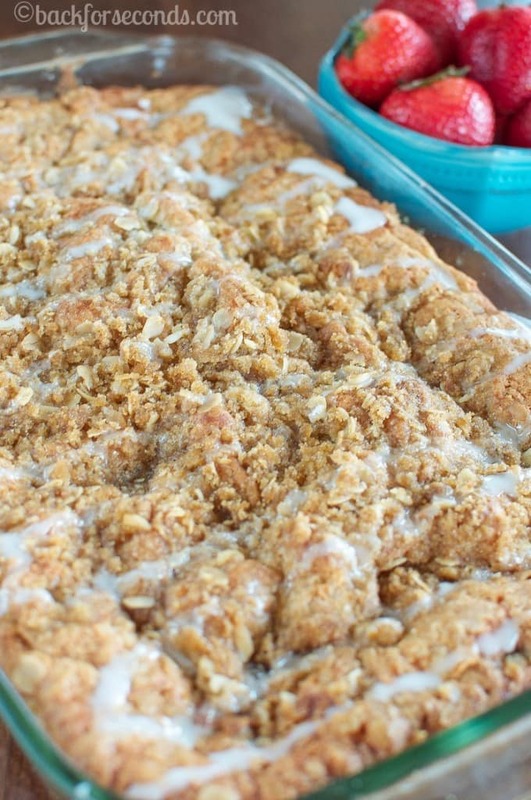 The brown sugar streusel topping is killer and the sweet almond glaze makes it irresistible! If you are looking for the perfect breakfast for the 4th of July – look no further! It is deliciously patriotic with it’s red, white, and blue colors, and by golly, it’s just plain scrumptious! I don’t make coffee cake as much as I should. I have no idea why. It’s super tasty, easy to make, my kids all love it, and it’s cake that you’re allowed to eat for breakfast! What’s not to love? I have a few requirements for a perfect coffee cake, though. 1. It has to be moist. There is nothing good about a dry cake. The end. 2. It needs to have some type of streusel on top! 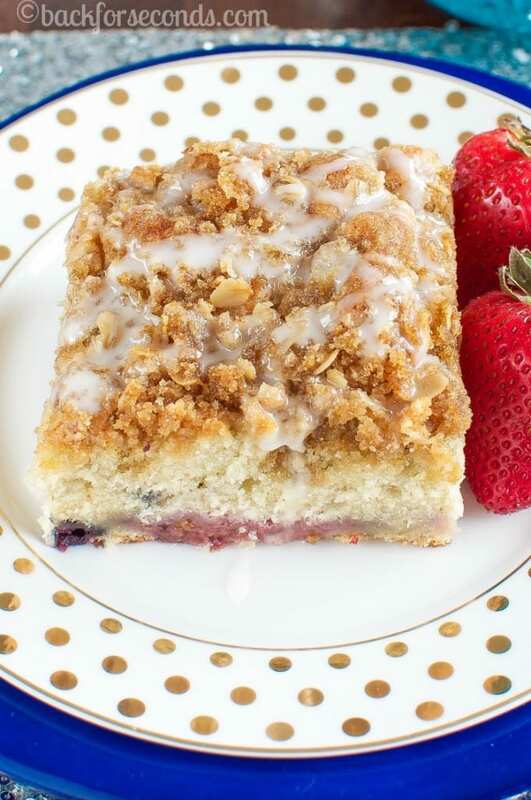 The sweet crunch of the streusel is the perfect complement to the moist, buttery cake. The glaze is totally optional, but the extra boost of almond flavor is so wonderful with the berries! Your cake look incredibly moist and delicious, plus I’m loving all the berries you’ve packed inside. 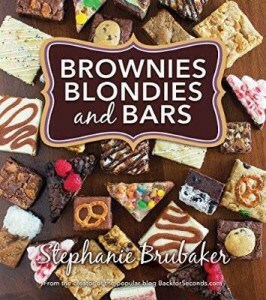 This sounds like a great breakfast any day of the year! Love the fresh berries! Cake that’s for breakfast is right up my ally! 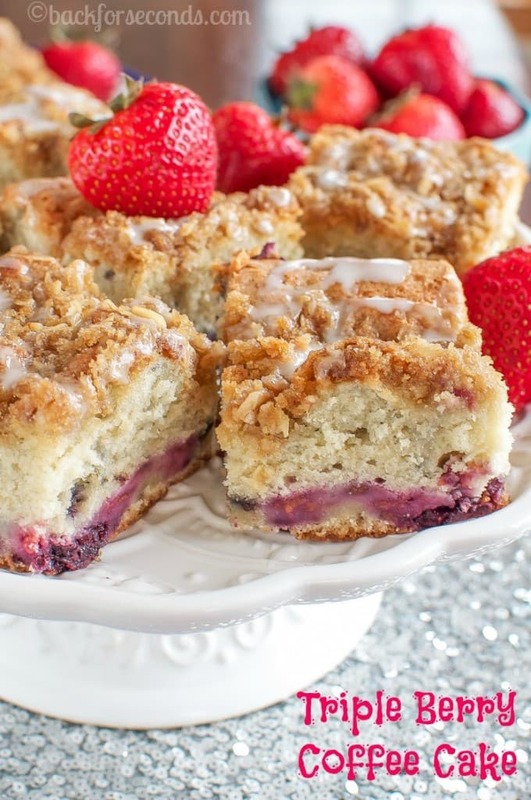 Loving that streusel on top! Love the triple-berry filling you’ve used for this recipe. It looks like the perfect dessert to finish off a summertime meal… preferably with a scoop of ice cream, obvs. Why have one berry when you can have three?! I like the way you roll! 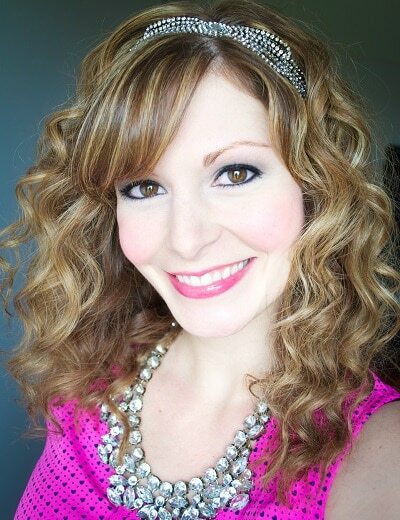 It’s totally summertime on your blog right now! I’m loving this coffee cake! Good job! 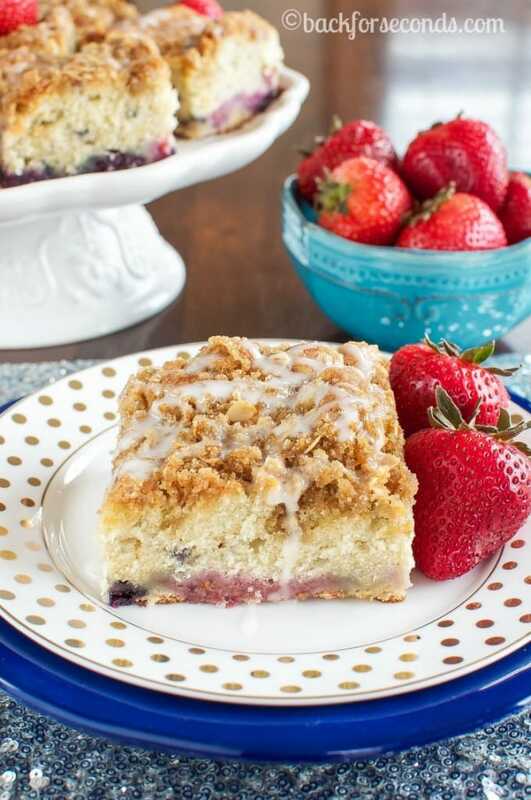 I love triple berry recipes, and especially the fact that this coffee cake could easily feed a crowd! Perfect for company!